JMS Naval Architects & Salvage Engineers and the American Society of Naval Engineers (ASNE) are proud to announce the joint publication of what may be the definitive handbook on commercial salvage. 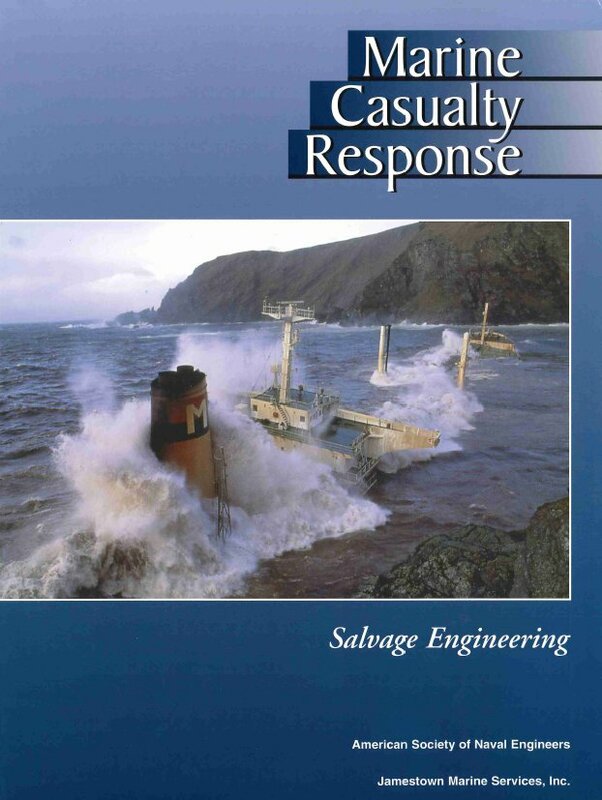 The book entitled, Marine Casualty Response: Salvage Engineering (MCR:SE) is a 710 page, hardbound book based on the US Navy Salvage Engineer’s Handbook. MCR:SE is a one-stop shop for naval architects, marine engineers, port engineers, ship captains, chief engineers, salvage foremen, tug operators and ship owner/operators. MCR:SE contains comprehensive appendices, engineer’s tables, detailed examples, and enough technical information to make it an indispensable, practical manual for engineers and operators alike. MCR:SE addresses the following areas: naval architecture, structural engineering, environmental forces, salvage planning, stranded vessels, sunken vessels, rigging systems, buoyancy recovery, weight removal and explosives. “The Bible! Aimed at salvors, engineers, naval architects and crews. This enormous and incredibly detailed book covers almost every imaginable aspect of engineering in salvage situations. For anyone even remotely likely to be involved with salvage, this very well presented book will be a necessity.